Today’s opportunities to create an interior using sustainable, renewable or recycled materials are abundant. 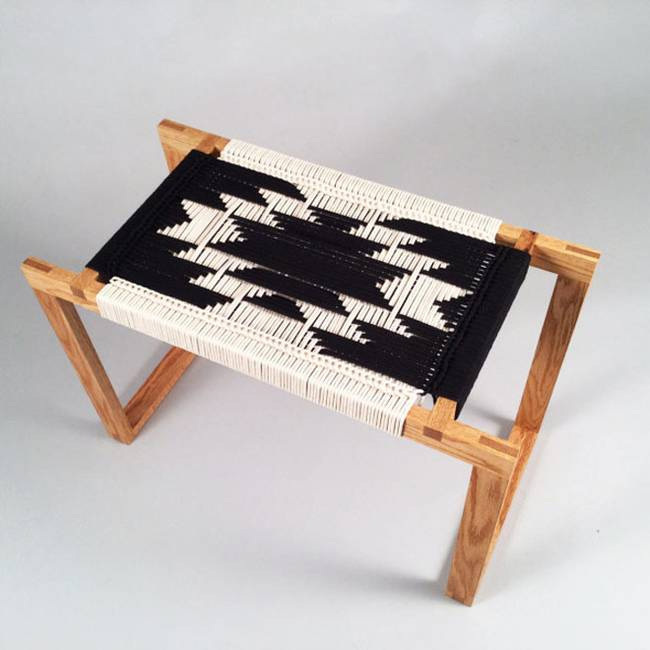 From choosing furniture made of reclaimed wood or logs already discarded by nature to taking a completely different path and opting for man-made materials in order to save a few trees, the alternatives are embraced by gifted designers who combine creative ideas with eco-friendly practices. 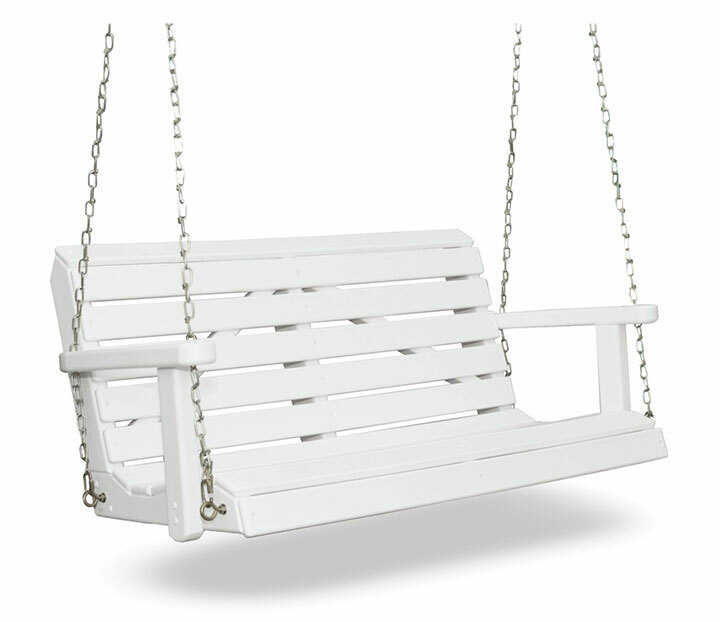 When it comes to outdoor furniture, the most important quality is durability and ability to withstand the elements. Freedom Outdoor Furniture checks more than just this box. Made of recycled plastic milk jugs, their furniture keeps plastic away from landfills, while offering you a no-maintenance, “practically indestructible” option. From benches to fire and game tables, this furniture does not have to be painted or stored away during the cold months, and is guaranteed not to crack, splinter, rot or peel for more than three decades. If you prefer wood furniture for your interior, you might as well make a design statement when using materials produced in an eco-friendly manner. 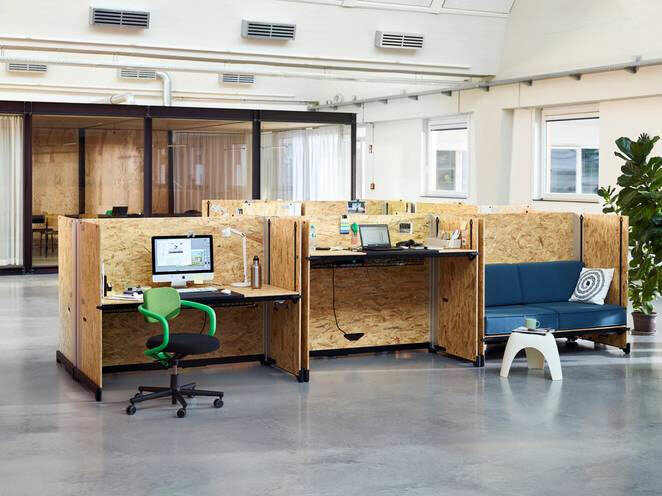 Created by Konstantin Grcic for Vitra, the Hack desks are more than just desks – they are “office systems.” Manufactured from locally produced wooden parts with energy efficiency in mind, these raw wood panel desks are designed to appeal to a new generation of employees who want to work in a creative, unique environment. 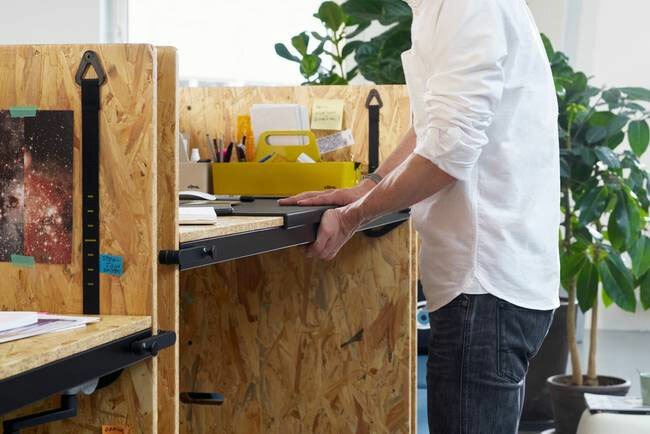 Aside from the unique look and the energy-efficient manufacturing process, it is the flexibility of the Vitra desks that is impressive. They can be folded almost flat and moved around on rollers, which makes it easy to restructure and rearrange an office space. Additionally, the Hack office system can turn from a sitting into a standing desk, and even into a couch. Choosing furniture that uses locally sourced wood – and less of it – is another way to keep your interior green. While handcrafted furniture often calls to mind massive pieces with heavy decorative details, the handmade furniture created by the Brooklyn-based designer and woodworker Kate Casey takes a minimalist approach. 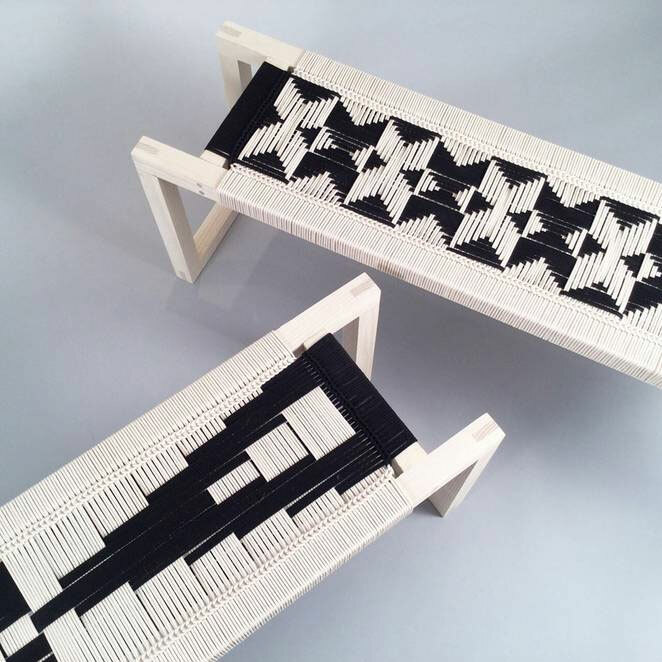 Combining a geometric frame design with an appetite for the art of Shaker and Danish cord weaving, crochet and macramé, the designer creates furniture inspired by Peruvian, Navajo and Islamic tile patterns. She uses locally sourced, non-toxic wood finished with natural oil sealants, and natural cotton cord that she weaves using a technique she developed. All her pieces are custom made and unique. 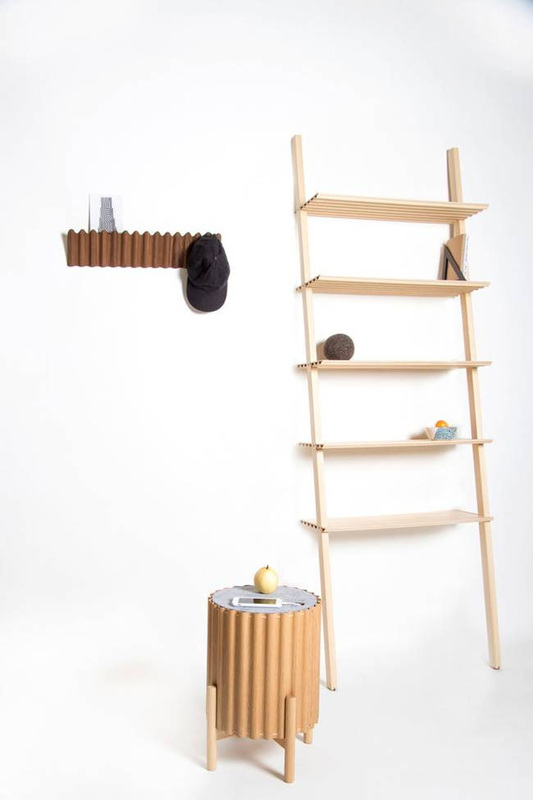 Finally, keeping with the minimalist idea, Vancouver-based Studio Corelam created a collection of furniture pieces made of Corelam, their patented ultra-thin corrugated plywood. 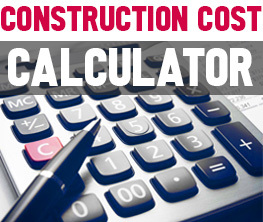 The furniture is lightweight and easy to transport, thanks to the fact that only a quarter of the amount of wood used for the manufacturing of conventional boards is necessary to produce the Corelam. The collection is designed with mobility in mind. Each piece can be quickly disassembled, placed in a flat box that is easy to carry by hand, then reassembled.